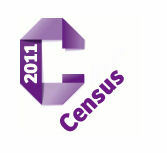 The 2011 census for England and Wales will be held on 27 March. It can already claim to be unique in one respect: it is the day on which British Summer Time begins this year and is therefore a 23–hour day.The first of the censuses that are frequently referred to in articles and family history enquiries on the My Brighton & Hove website was held in 1801. Of course, this was not the first census in the broad meaning of the word. Babylonians, Egyptians, Romans and the Chinese had undertaken censuses in one form or another for millennia. By the end of the eighteenth century it was becoming extremely clear that there was no accurate knowledge even of the size of the population. Indeed, in 1798, the Reverend Thomas Malthus published a somewhat alarmist pamphlet suggesting that population growth would soon outstrip the supply of food and other resources. Small wonder then, that the first official census was held three years later – using just paper and ink. It revealed that the population was just under nine million. The census provides a fascinating snapshot of how we all live and how that changes over the years. For instance, in 1901 the average household size was 5.6 people. A hundred years later there were just 2.4 people per household. Incidentally, in Sussex, in the same period, it dropped from 6.0 to 2.2 – the lowest figure in the whole of England and Wales. Yet the census is decidedly not simply there to provide titbits of information of this kind – far from it. The information that is gathered ultimately provides a blueprint for every local community. Let’s consider a few examples. For instance, an accurate knowledge of the number of people in a given location enables water companies to plan the infrastructure for clean water supplies and wastewater treatment. Local authorities will use data for policy planning, academics for predicting trends, businesses for product development and central government to allocate funding. How many school places are needed locally? What will your local authority receive for services such as schools, health and transport? Long-term care for the elderly for an area can be planned using data from the censuses. The information is also used to allocate Emergency services resources appropriately. It enables planners to concentrate their efforts where they are most needed and being able to respond to fires and accidents in the shortest time. Transport, health, education, housing, policing, emergency services and recreation facilities – the number of uses is endless: each census is capable of impacting on our lives in the decade that follows. There is clearly, then, an advantage to the community in taking part. There is a very informative site at http://2011.census.gov.uk Among other material, it contains detailed information on how the data that are collected are protected, and provides help on completing the questionnaire, together with accessible formats, compliant with government legislation and guidelines.